Right before my wine supervisor Paul Quaglini at my job left for his vacation he alerted me to 9 different Italian Wines from the same producer that I had to display somewhere. I yelled “Where the heck am I gonna fit all this new stuff”?? Paul Replied, “I have no clue but when I return from my vacation I will stop by and figure it out with you” Then he hung up and I was furious!!!! As soon as he returned, I had already purchased 2 of these wines from Italy and I called to give offer him a genuine apology. These wines are delicious and from an area of Italy called Maremma where most Italian Wine Sections don’t even offer wines from this small area, he found 9 gems from an outstanding producer! Petra, like “pietra” (stone) in Latin. Like the solidity of work, which both Francesca and Vittorio Moretti (father and daughter) have based their project upon. The facilities have been designed by Swiss Architect Mario Botta who has given to the winery the status of an ideal frame for work and hospitality. 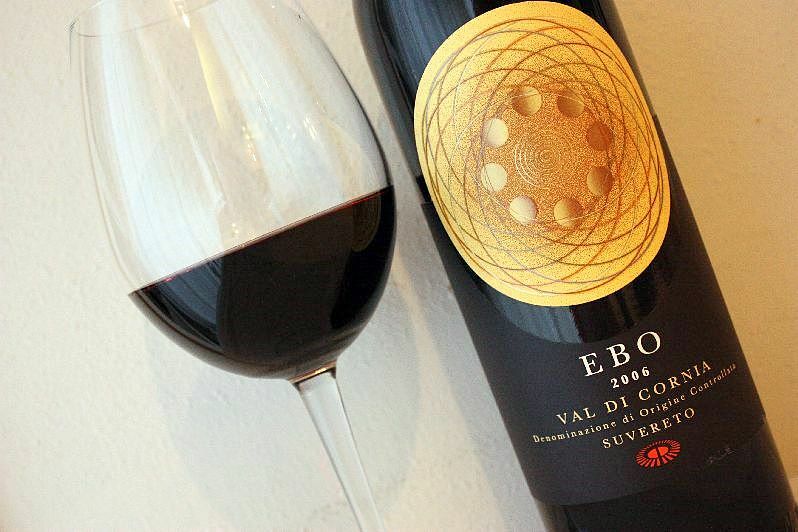 The Label on their products are cool looking, especially the “EBO” The Ebo Val di Cornia label features a celestial vault crossed by twelve lines representing the months of the year, and surrounded by eight spheres representing the phases of the moon, and seven concentric rings symbolizing the days of the week. This symbol summarizes the relationship between the vineyard and the stars that influence the wine’s production. The 2008 Petra Ebo is comprised of 50% Cabernet Sauvignon, 30% Sangiovese and 20% Merlot. It is aged mostly in Large Oak Casks and then spends some time in French Oak Barriques. It displays a beautiful dark purple color and the nose is intoxicating with violets, herbs, espresso and dark berries. On the palate, it all comes together. It is totally poished and silky with really ripe, juicy dark fruits and a hint of licorice and earth. The tannins are a little tight on this 2008 so it will benefit from a good one hour opening the bottle time before serving. Antonio Galloni who reviews Italian Wines for Robert Parker’s Wine Advocate scored this $21 beauty 90 points Petra’s more expensive I.G.T. wines all scored over 90 points by Wine Advocate. 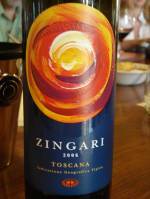 For an entry level starter wine that way over delivers for $12.99 Petra has a blend of 25% each of Merlot, Sangiovese, Syrah and Petit Verdot with is juicy stuff called Zingari which also scored 90 points by Antonio Galloni. You know I love Italian wines especially from Toscana but I have to tell you just like I apologized to my boss for making me find space for 9 new wines I apologize to my loyal readers for not introducing you to the Maremma coastal region of Toscana sooner. The 2008 Petra EBO is some of the best Tuscan Wine I have tasted for a $20 price point in a very long time. Join me won’t you? It’s Time to get “PETRA-FIED!!! NextMake A GOOD Impression When Buying Wine as a GIFT!